This is one I fixed some time ago but still worth posting here. Problem 1: The display would exhibit streaks of grey lines mostly around sprites as the pcb warmed up & progressively get worse over the period. Symptoms would sometimes completely disappear after 10-15 minutes. 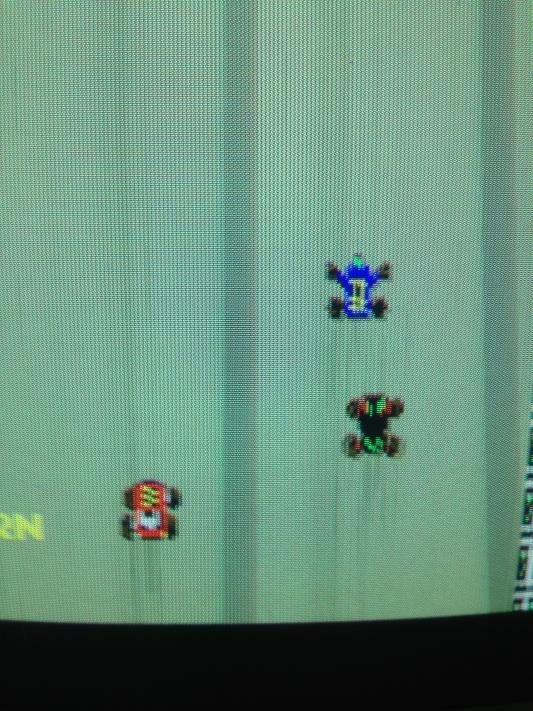 Note the grey lines around the sprites. After inspecting the board there didn’t appear to be any bad connections. I suspected an intermittent component fault. I didn’t have any freeze spray so I cooled off suspect chips ( I used some ice wrapped up in a sealed plastic bag to avoid any leak ) and found cooling the transistor @ Q4 on the video board would reproduce the above problems. I replaced the faulty 2sc1815 transistor at Q4 on the video board which cleaned up the video sync signal. Problem 2: Game boots sometimes, other times it does not start and boots to junk. Probed 6502 address pins, found that all were stuck high whenever the game failed to boot. All other signals looked OK. I tried substituting the main CPU for the sound CPU ( a 6502 as well ) but the symptoms were the same. I traced the RST signal from the CPU to a 555 timer. There appeared to be a problem with pin 8 from the inverter at 9C to the trigger of the 555. Whenever the game booted to junk pin 8 of the inverter was floating & my logic probe was not registering the normal RST behaviour you would expect. I suspected a bad LS04 at 9C and planned to replace it. Removed the LS04 at 9C. Pin 7 which is the ground pin was crushed under the IC. In other words it completely missed the plate thru hole ( it was blocked with solder ) during manufacturing and wasn’t making good contact with the ground pad. 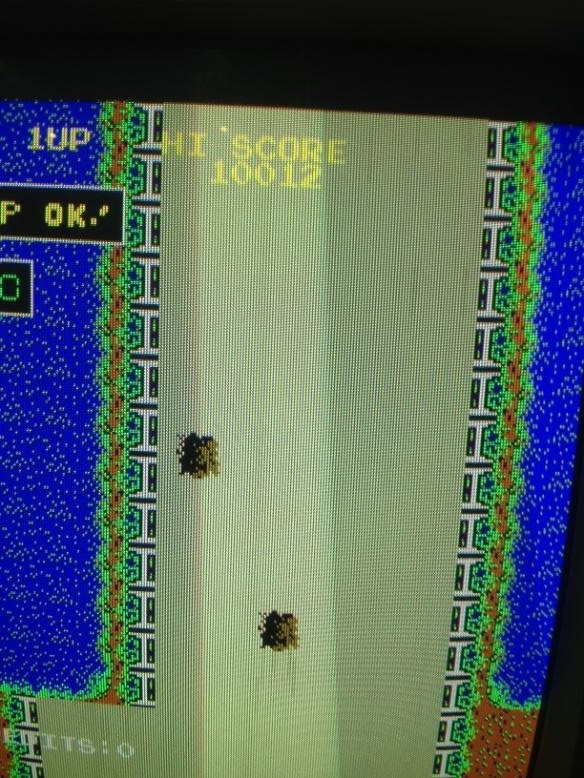 This game would have been faulty since the day it left the factory & explains the chip’s intermittent behavior. Re-installed the inverter & re-tested with good results, no more booting to junk! Good one and great game!Is it an original board? Yes it was an original. Sadly, I sold the board!